DIET: Carnivore (meat-eater). 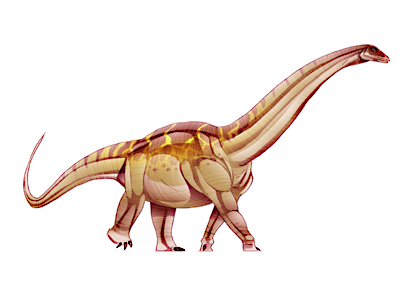 Spinosaurus probably ate plant-eating dinosaurs and large fish. WHERE IT LIVED: Fossils have been found in Egypt and Morocco, Africa. 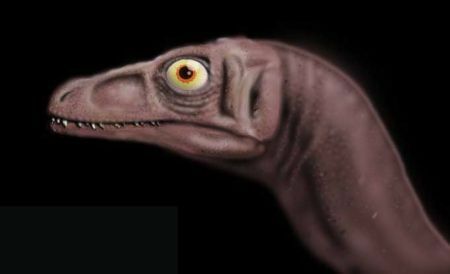 FOSSILS: Incomplete fossils have been found, including blade-like neural spines up to 6 feet (1.8 m) long. The original fragmentary fossil specimen from Egypt (found in 1912) was destroyed in World War 2. 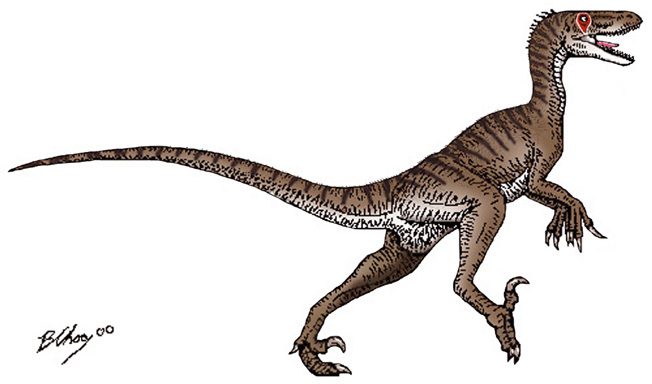 FACTS: Spinosaurus' sail may have been for heat dissipation - it lived in a swampy environment near the equator during the warm Cretaceous period. The sail may have also been used to attract mates or seem bigger than it was. 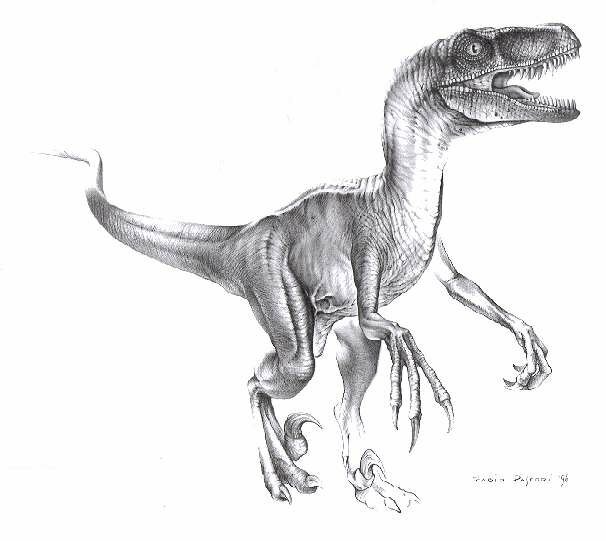 LINKS: A detailed page on Spinosaurus. 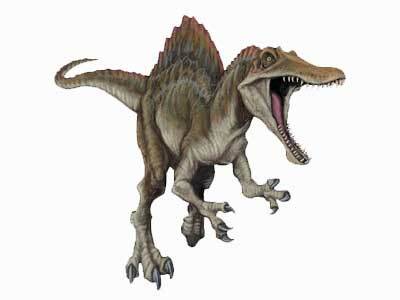 The star of "Jurassic Park III," the Spinosaurus is one of the strangest of the large meat-eaters. 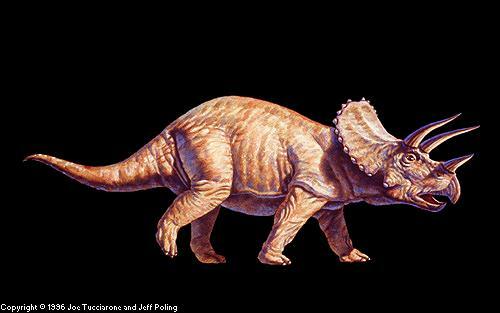 What makes it so different is the large sail on its back, formed by spines that grew as tall as six feet. 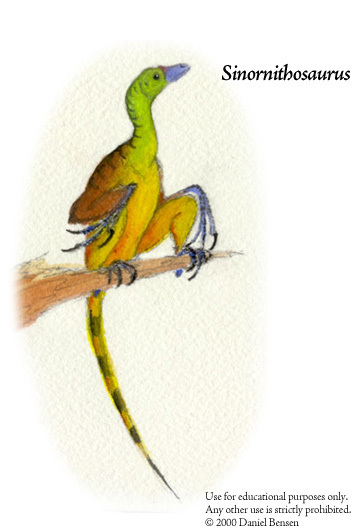 No one knows exactly why it had these on its back, but it is possible that they helped to regulate body temperature, or maybe they were used as a display during courtship. 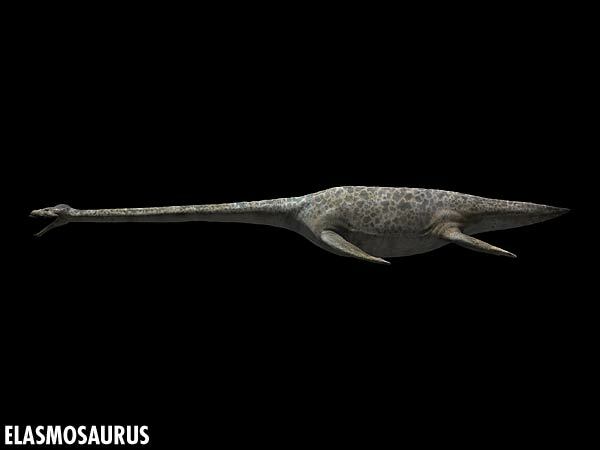 The other really interesting thing about this huge dinosaur was its diet - it seems to be designed to eat mostly fish! 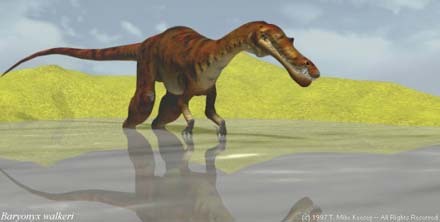 The teeth of Spinosaurus are designed differently from any of the large carnivores. They are long and conical-shaped, the kind found on reptiles that eat mostly fish. How could something this large be so specially designed to eat mostly fish? It probably lived along the shore where fairly large fish were abundant. Of course, it could also have eaten just about anything else it could catch. 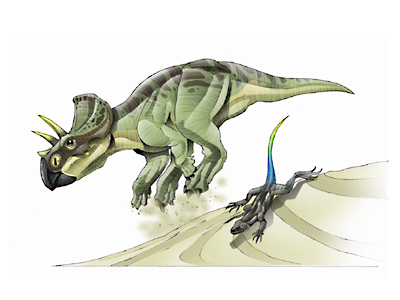 What is interesting is that there were two other dinosaurs living at the same time and in the same vicinity as Spinosaurus who also had large sails on their backs. What was it about this region that gave rise to this body type? 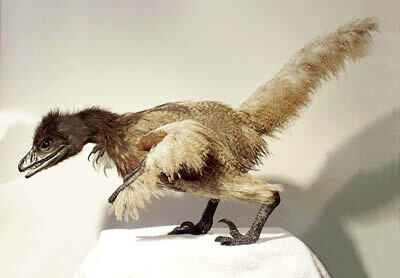 At one time, there was an almost complete specimen on display in a museum in Germany. However, it was completely destroyed and lost forever during the bombing of Germany in WWII.